We all have it. That pile of books you’ve been “meaning” to read. Filled with the book mentioned in that article you liked or written by the author from that NPR interview or the latest from your favorite writer of your 20s. For some reason, to some extent, we all think that buying books is equivalent to reading them! I am going to post my own embarrassing picture to get things started and put you at ease about the ever daunting stack on your own desk. And this is where the ShelfieGeneration 2016 reading challenge comes in. 50%. This same pile will be at least 50% smaller around December of next year. I hope that everyone’s unread books roughly correlates with how much you WANT to read (if not, please adjust accordingly. It is more than fine to shoot for 25% or 100%!). This is also not a time to force yourself to read a book that your ex-boyfriend’s mom gave you that one Christmas; if you don’t want to read a book, donate it or pass it on to someone who may be interested. With a serious look at all the books in your pile, don’t you think you can read half of those? It is a new year, time to assess what we did in 2015 and try to shape what is to come in the following 12 months. So let’s do it! Leave a comment below with as much info about your personal challenge for 2016. 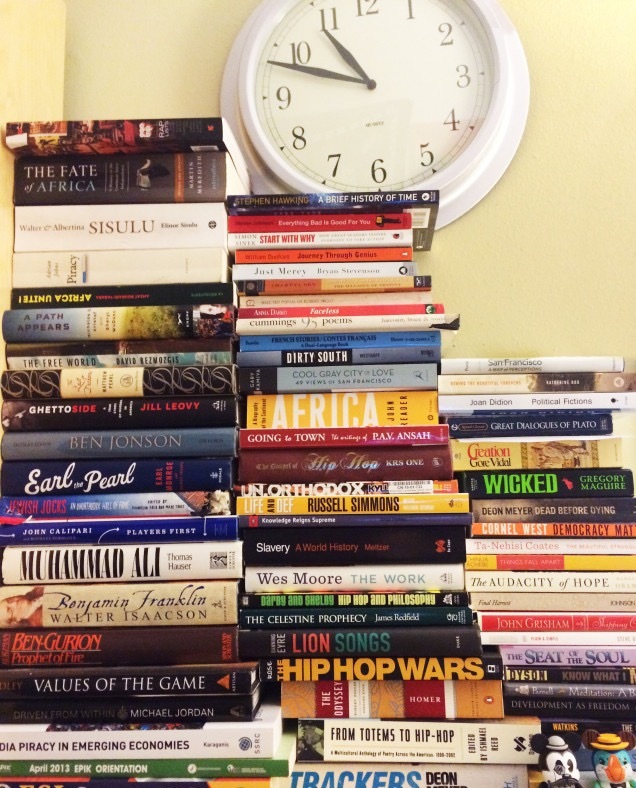 If you’re really brave, post a photo/shelfie of your “to-read” pile. My plan is missing: not enough fiction!